One of our teachers at school, Glen Emerson, shared this amazing YouTube rendition of “Mary Did You Know” by Pentatonix. 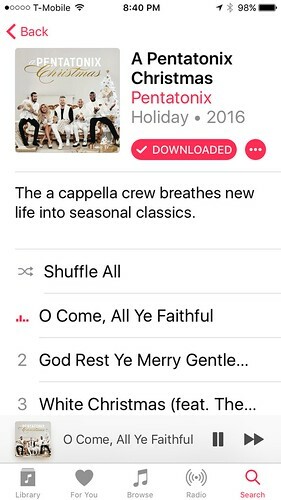 (@PTXofficial) They are a remarkable a cappella group from Arlington, Texas. Their website is well designed and invites visitors to explore and experience more of their music in different “theater venues.” After listening to a couple of their songs, I’m ready to hear their entire 2016 Christmas album!